Celebrity guest auctioneer Don Barris raises money for kids and families in need. 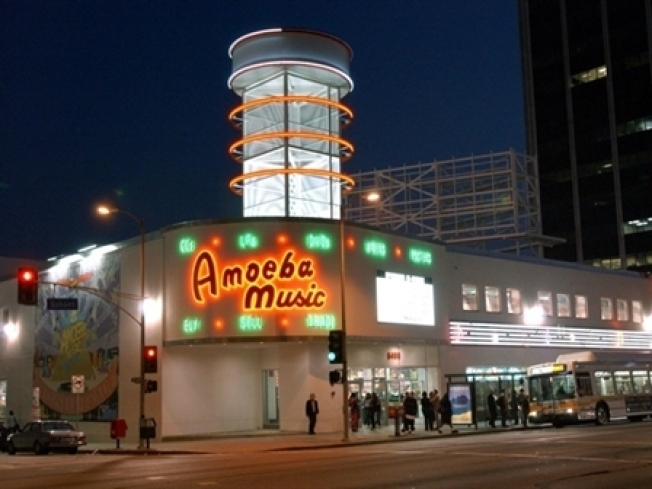 Amoeba raises money for charity the first Saturday of the month. Local kids and familes will recieve the proceeds for the holidays. Still thinking about what to get for the music lover on your holiday gift list? Amoeba has the answer for your quandary, and a little something extra to make you feel warm and fuzzy. Amoeba Music in Hollywood is continuing their weekend auctions and is starting their holiday charity auction Saturday at 4 p.m.
Every first Saturday of the month, Amoeba auctions off an array of items including memorabilia, collectibles, promotional items and even concert tickets. Past items include tickets to a sold out Supergrass show, box seats at the Hollywood Bowl and Slayer promotional underwear. Saturday’s auctioneer will be guest Don Barris, often seen on Jimmy Kimmel Live. All of the proceeds of the holiday auctions will benefit Five Acres, which aims to help families and children in need. Amoeba will also match donations and bids, up to $1,000 for donation as well.